Cristhian and I recently celebrated our six year dating anniversary. 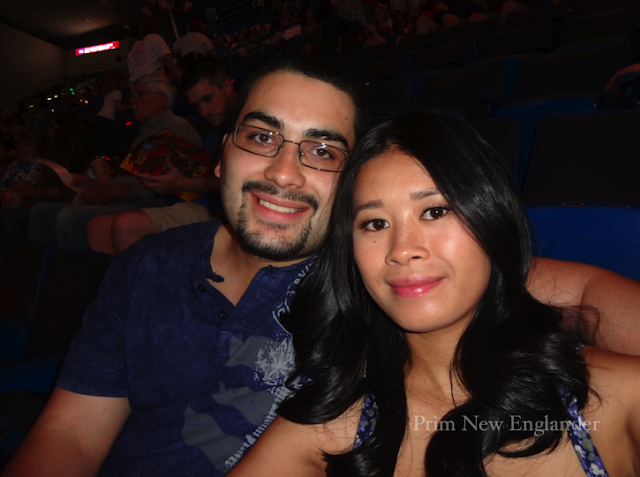 We don't like to spend much or go out for a celebration, but he wanted to do something different, something we haven't gotten to experience together- we went to the circus! 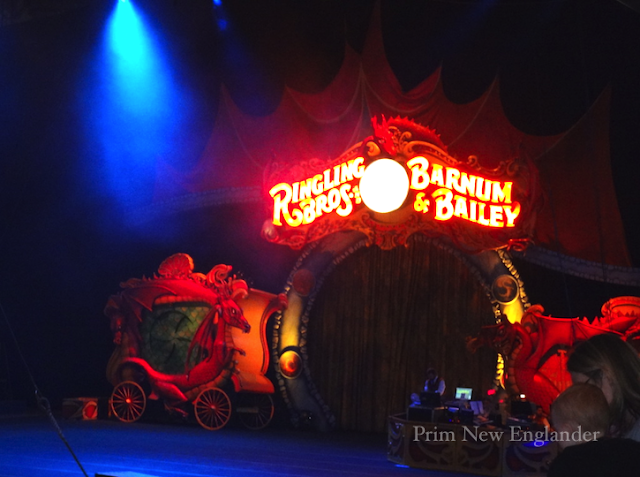 The Ringling Bros. Barnum & Bailey circus crew went through Hartford in May. Unbeknownst to me, it was a dragon theme! I liked that tid bit, hehe. Sorry for the crappy quality pictures and video. My digital camera was dying and I had to shoot some of the pics with my iPhone! 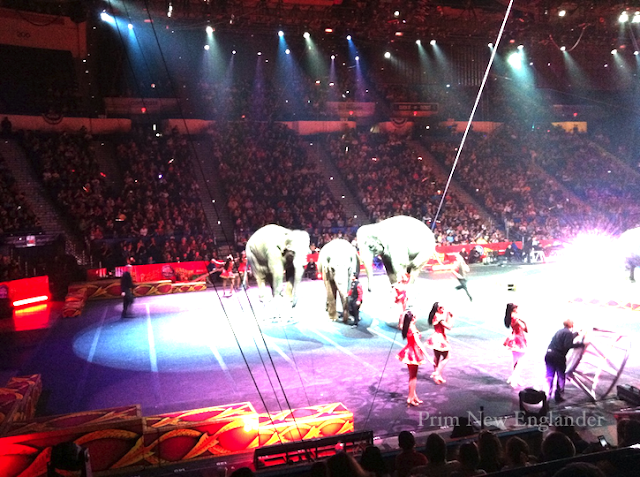 The circus was actually a lot different than what I remember as a kid. When I went to the circus with my family, it was tented and we were able to play games and pet the animals- just good ol' fashioned fun! 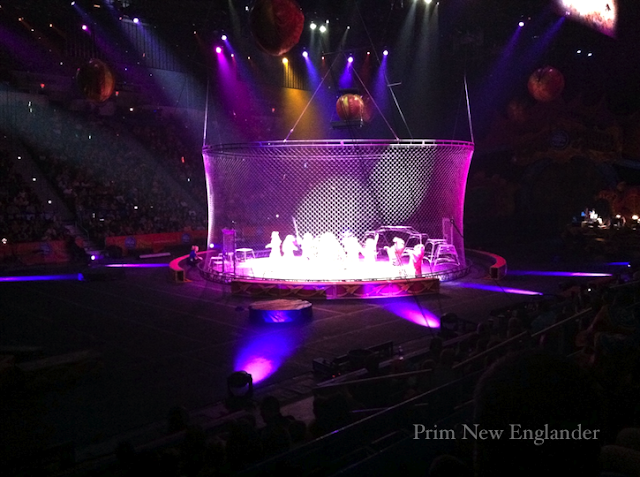 This time around, the circus took place in the XL Center. There were (games and snack) booths around the arena, but it seemed like a real production line. From what I saw, there wasn't much interaction with the characters either. BUT, I guess if we had come at least an hour or two earlier (the show started at 3:00 and we arrived exactly at 2:45), we would've been able to walk in the rink and talk to the clowns, ninjas and acrobats. Oh, well. Next time! Afterwards, we had dinner at Hot Tomato with Cristhian's co-workers. We weren't hungry so we just shared an app- sweet potato ravioli! Yum! It was nice to soak in and enjoy the day (without rushing to meet a schedule!) and remember how we came together.